York Photographic Society have set a challenge to try some photography 'out of your comfort zone' so I have decided to hit the streets with my camera. Those of you that know my work will be aware that I rarely include people and actively avoid them most of the time esecially as I spend most of my time in the hills or on the coast. 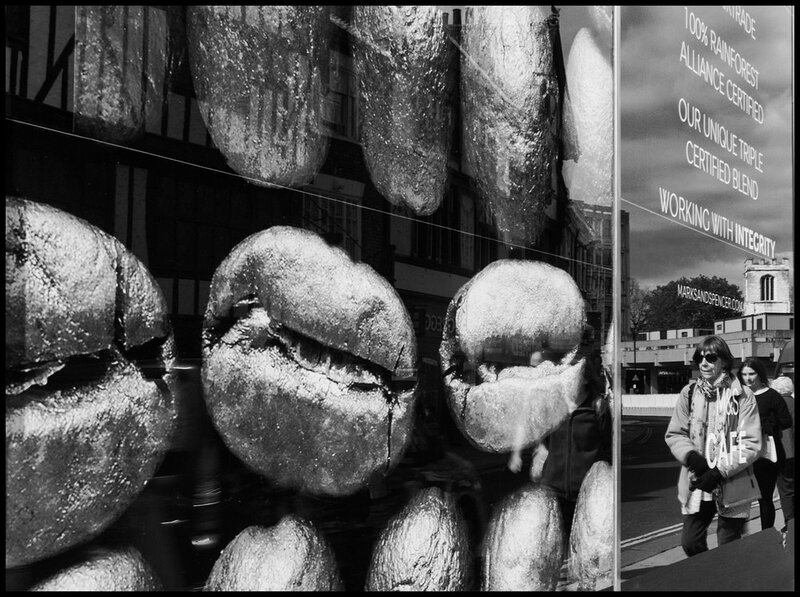 I met a friend in York last week for some tuition and although a new mind set was required it was interesting to note the similarities between landscape and street photography. Certainly the phrase 'hurry up and wait' is applicable. We repeatedly scurried to a location and then hovered there waiting for something interesting to happen or for someone to do what we wanted. The saying 'don't work with animals and children' should have people added as they invariably don't stay in position long enough to set up your shot. (I think that they are less cooperative than sheep. Discuss). The camera has to be ready to fire immediately so I found myself constantly checking my settings. Whilst we approached each location we discussed what we might expect and shoot so there was more planning that I expected although there was no consideration of tides, angle of sun or weather which obsesses the mind of a landscaper. The other problem with street photography is the ethics of it all. Some of my best photographs can't be published as they identify people in private places, mostly through windows of eateries. Having researched the 'rules' online I probably could post them here but they are clearly recognisable I don't want to do so. My photograph called 'the kiss' my favourite of the day but will be for competition use only which is a shame as I feel that I have managed to catch the moment between the two in the image. Subjects in the public domain are apparently fair game but I saw a homeless man sitting in a shop window quietly reading a book. I could have taken the photo but as he has no home I felt that this was as private a place as he could achieve so I let him be. Voyerism is to be encouraged in street photography which I found quite hard at the beginning as I do like appreciate having my own space and privacy and like to afford people their own.